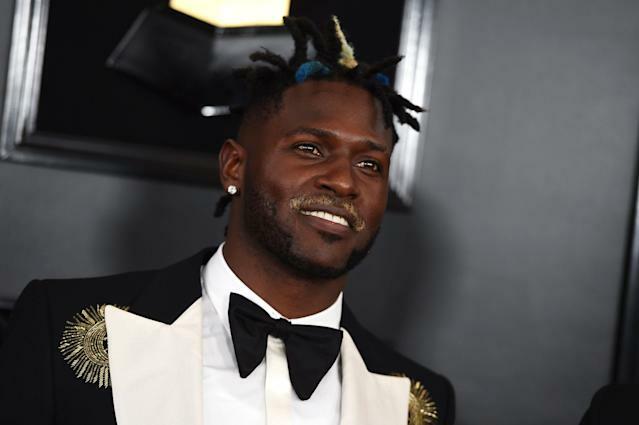 It took a while for the Pittsburgh Steelers to get a market going for Antonio Brown, but it appears they’re ready to deal. Two reports on Wednesday morning, from NFL Network’s Ian Rapoport and ESPN’s Adam Schefter, said the team is close to a deal. Schefter specified that a trade is expected by Friday. It behooves the Steelers to wrap up a trade by March 17, when Brown is due a $2.5 million roster bonus. It also isn’t a bad idea to get it done quickly, just to eliminate another of their seemingly endless distractions. Rapoport said that trade talks are heating up, though he mentioned that two teams have bowed out. The New York Jets and Arizona Cardinals won’t be trading for Brown, Rapoport said. That leaves only a few known candidates. The one team that has come up whenever a possible Brown trade is brought up is the Oakland Raiders. The Raiders have the draft picks to make a deal, even it’s a little strange for one of the worst teams in the NFL to trade picks for a receiver who will be 31 years old next season. Rapoport said “three new teams” have emerged in trade talks this week, which is hard to believe considering it has been no secret for months the Steelers would shop Brown. But if leaking that information helps the Steelers drive up the price for whoever is still in, more power to them. Will a Brown trade get done this week? It’s also smart for the Steelers to get a trade done this week, considering free agency starts next week. Pittsburgh wants to know where they stand on that situation, and wouldn’t want to lose a potential trade partner who shifts its focus to free agency. Whenever Brown is traded, it will be one of the biggest stories of the NFL offseason. It’s not often a player as good as Brown is moved in his prime. If Wednesday’s reports are accurate, we shouldn’t have to wait much longer to see how it all turns out.